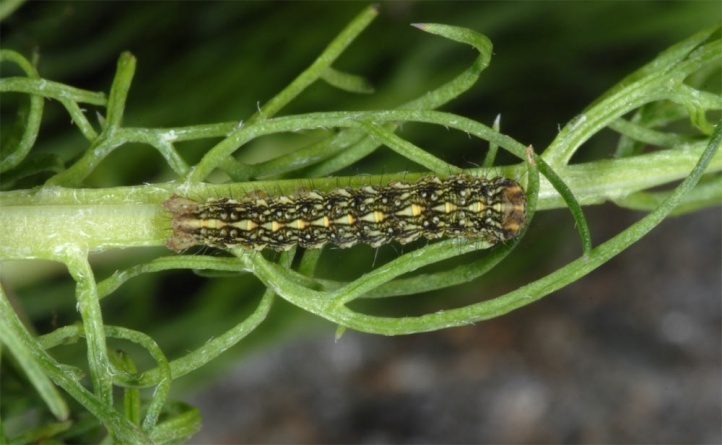 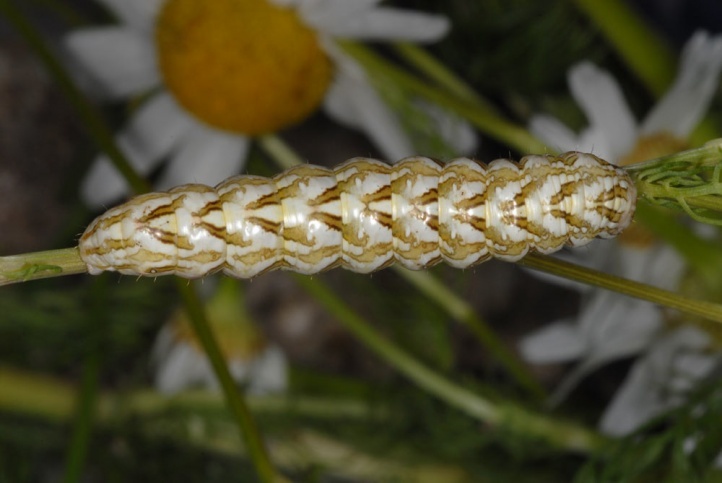 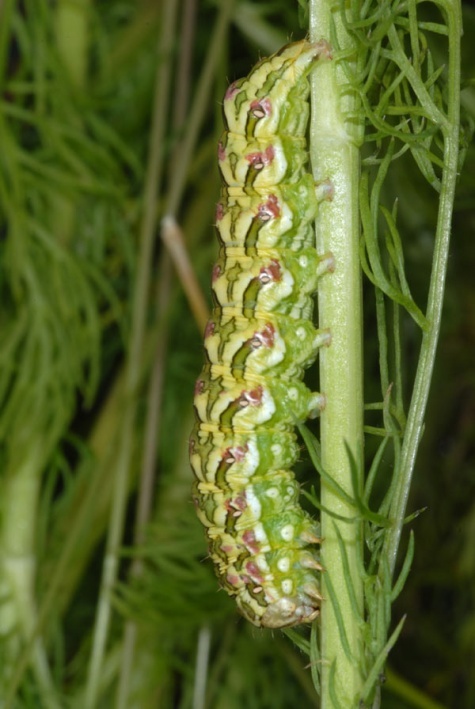 The caterpillars live on Chamomile (Anthemis arvensis, Matricaria perforata) and some related genera (Asteraceae). 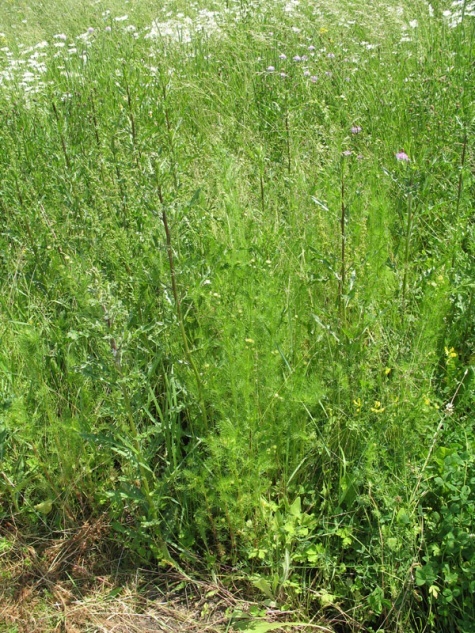 Cucullia chamomillae inhabits ruderal terrain, road and field edges, rubble areas and ruderalized (wet) meadows. 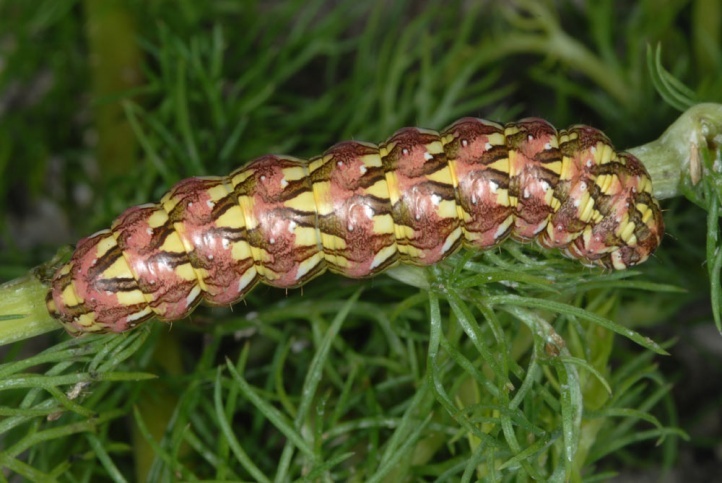 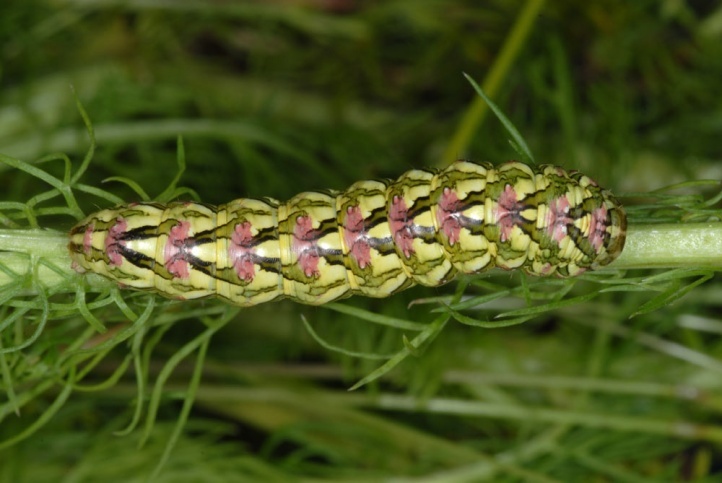 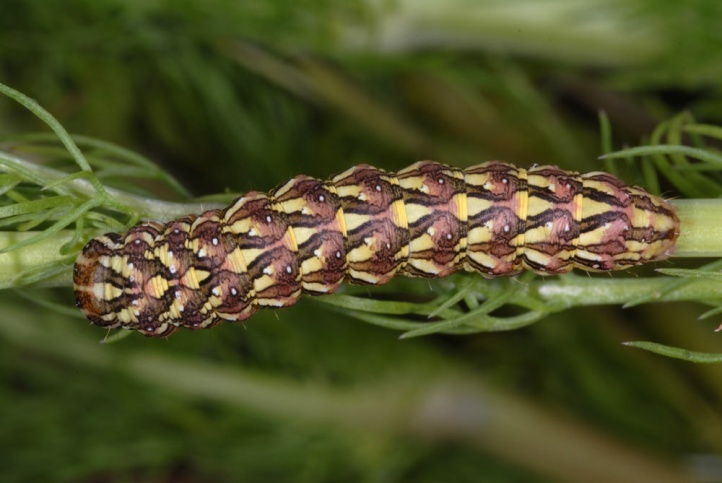 I found the caterpillar in a disturbed edge area between wet meadows. 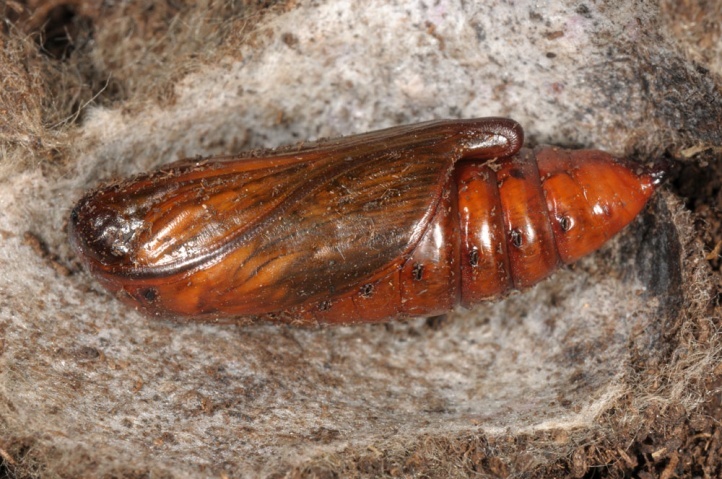 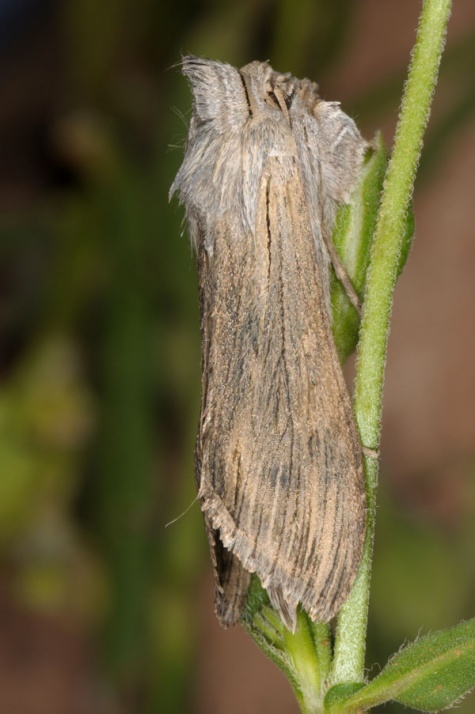 The pupae usually overwinter in part to almost completely developed in a cocoon on/in the ground. 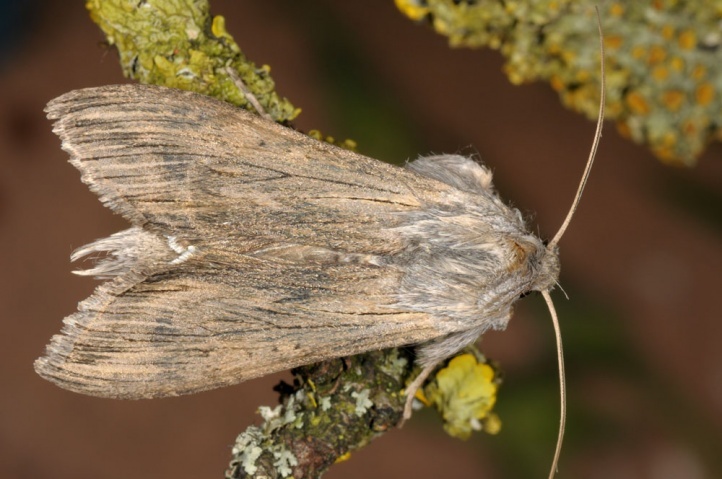 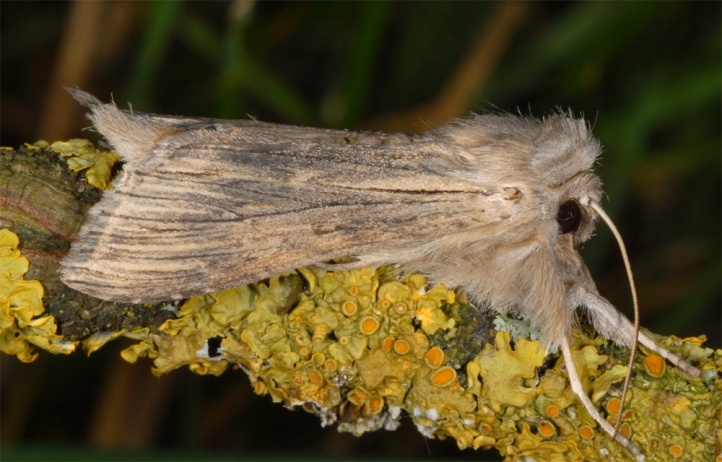 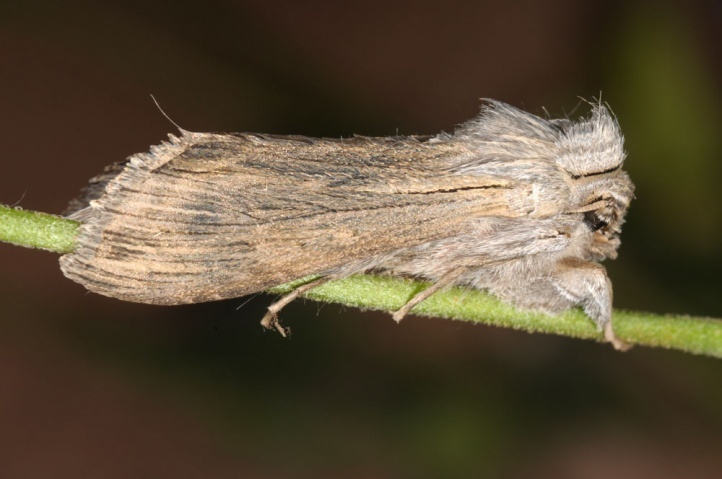 The moths thus fly early from April to July (peak in May). 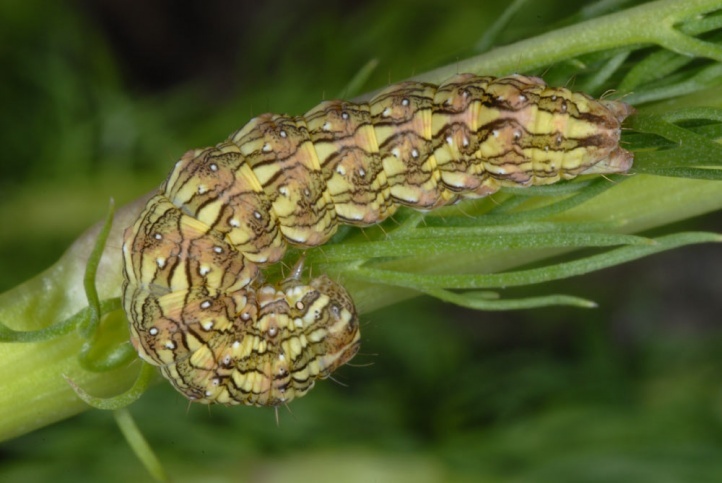 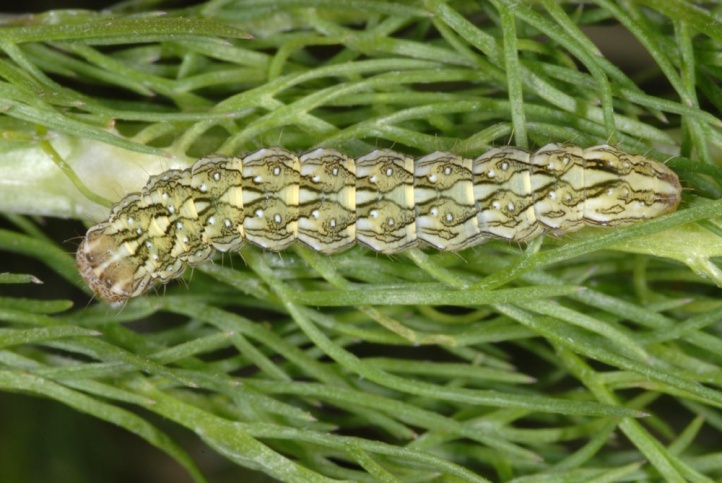 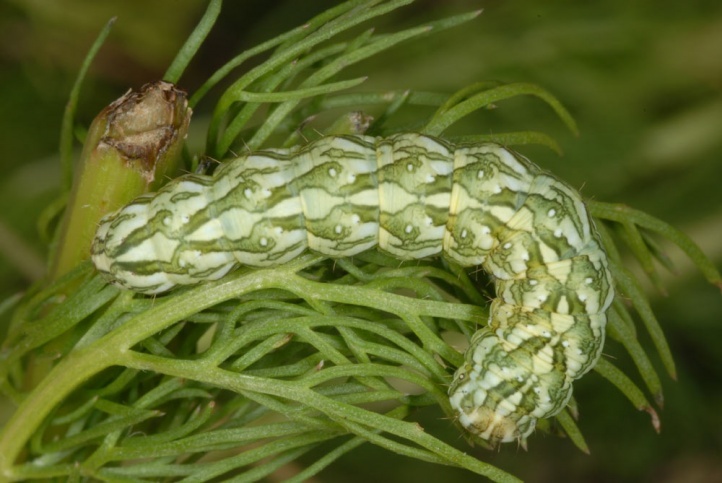 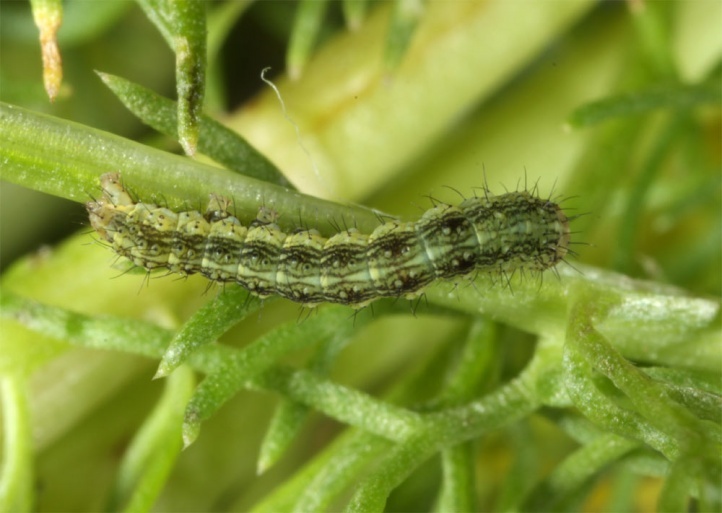 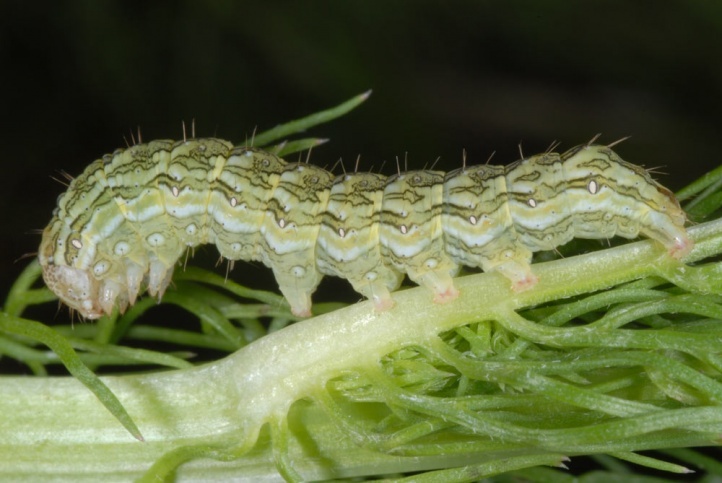 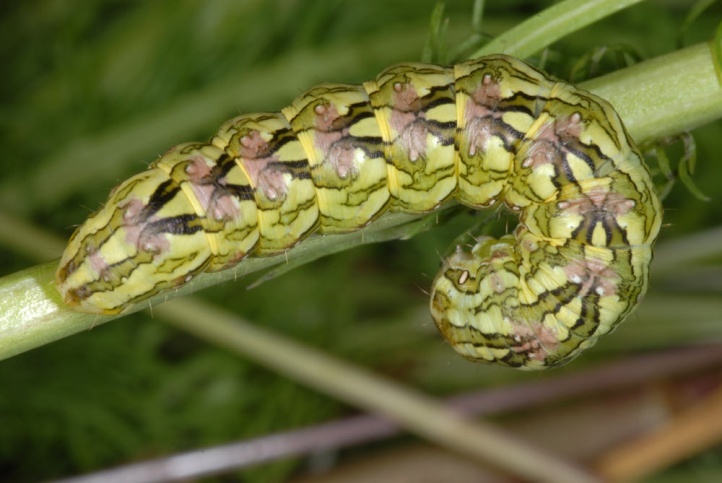 The caterpillars are observed from late May to mid-July (rarely later). 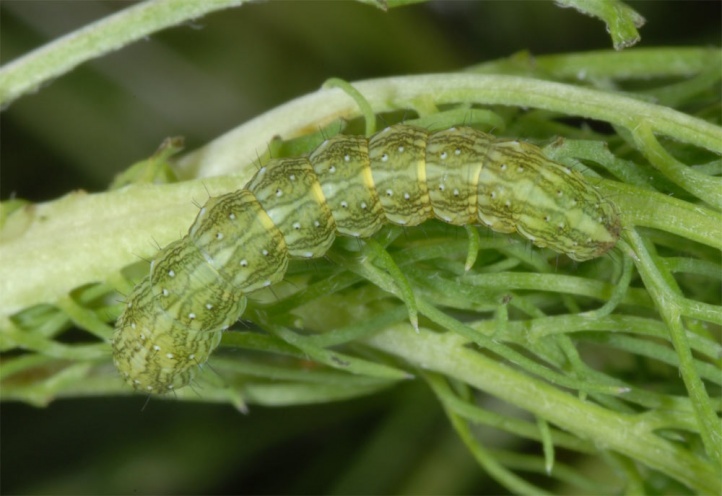 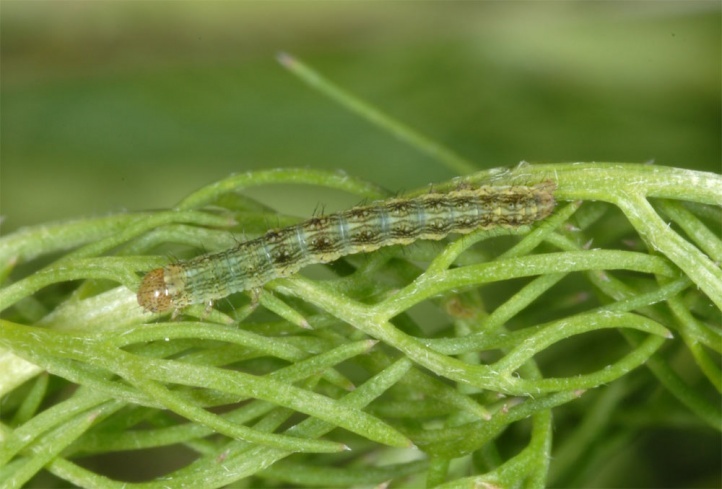 In later instars, they hide during the day often at the base of the host plant, while younger caterpillars usually are resting openly even in the sunshine. 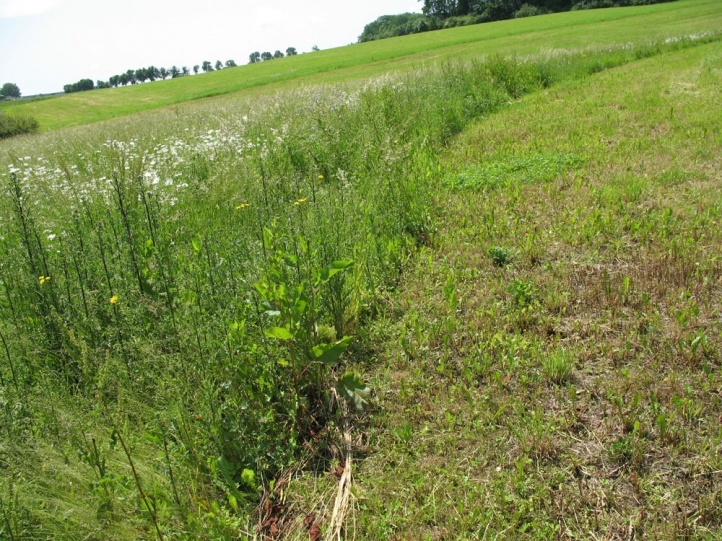 Cucullia chamomillae has become rare in many regions as brownfields and ruderal areas are becoming increasingly rare in todays complete intensive agriculture. 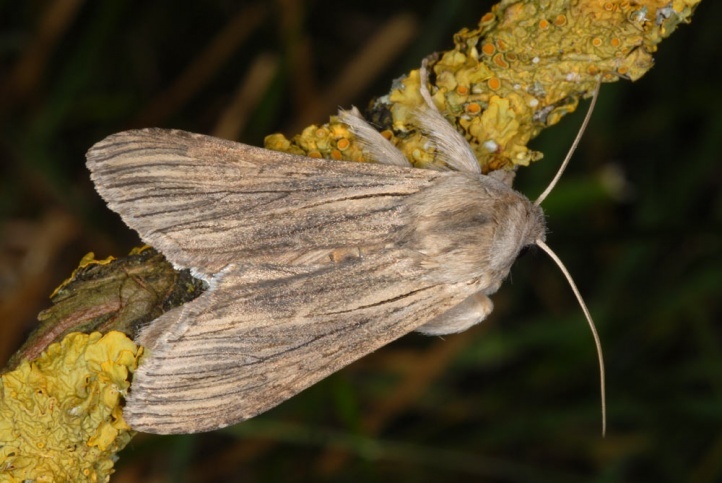 Cucullia chamomillae is distributed from north Africa across Europe (excluding Northern Scandinavia) to Central Asia.